In “Competition and Information Deception in Online Social Networks“, written by E. Mitchell Church and Ravi Thambusamy, it is studied the role of competition in determining intentions towards faking personal data among users of online social networks. The concept of selling data has become more famous after the scandal with Facebook and Cambridge Analytica but has already being used for a long time. The problem that social networks face nowadays is a contradictory position. While they get bigger and more famous by attracting people to compete over status, the competition leads to unrealistic information that can be harmful to selling purposes. Online Social Networks (OSN) are usually free, and anyone that wants to join the community is well accepted. So, if you are not paying for the product, the product is you! These companies (Google, Facebook, Instagram, Twitter, etc.) have two main ways to make a profit: (a) offer areas on the website for other companies to advertise; (b) sell people’s personal information for data miners, which in turn will sell their studies’ findings to other interested groups. Even though the first previously mentioned option is still the main source of OSNs profit, the second form has recently increased in size, importance and became more polemic. Every time that someone creates a profile in any social media, the person must “check” the option that says that the customer agrees with the terms, which in legal terms is a contract which allows the company to sell personal information. To have a more empirical view of this topic, Statista.com reported that Facebook sells each person’s data for between $0.20 and $0.40, which multiplied by 230 million (number of users just in America) leads to a range from $46 million to $92 million. The newspaper The Guardian stated that during 2015, Twitter profited $70 million just by selling users’ data. Google, on the other hand, use users’ data to make money, but in a different way, they don’t sell it. Instead, Google offers a tailored service to the people buying ad space. The company knows a lot about people that use its services, like what people search for online, what people buy from Amazon, where people have been, etc. After all this data is collected and catalogued, Google sells places to advertise specific products, that will be shown just for people that had already demonstrated an interest in it. Advertisement of video games, for example, will just be shown on people’s screens that had already exposed interest to that good. The problems that the OSNs face nowadays is that users intentionally deceptive personal presentations, which make the data not reliable, and discourage announcers to buy the social network’s data. As Church and Thambusamy wrote in their article, online social networks exhibit many characteristics that are likely to inspire competitive feelings. Firstly, online media provides platforms from which individuals can observe the lives and actions of other individuals (Danah Boyd). This facilitates people to come across other social backgrounds that would not be commonly seen in real life. Besides that, as pradyota argues on her reading response, on OSNs where is hard to know who is watching, people need to impress everyone. Secondly, on the internet, it is easy to fake and to change appearance, unlike real-world where prestige and wealth demand legitimate costs in terms of monetary expenditure and effort (Catalina L. Toma & Jeffrey T. Hancock). In order to maximize fake appearance individuals adopt various fashion symbols or prestige goods designed to show status. Therefore, in the same way that is described by Garcia et al. in the paper “The Psychology of competition: A Social Comparison Perspective“, the incentive structure is one of the determining factors that define how people will compete. Social networks need to create this competitive environment to attract more people because it is the best way for companies to get bigger and more famous. This happens because people, in general, feel attracted to compete in the online realm, so when they identify a competitive OSN they will want to register on it. The problem here is that, as demonstrated by Church and Thumbusaby article, the competitiveness makes people be more willing to fake personal information. This may not have negative effects on the users but prejudice the network interest. 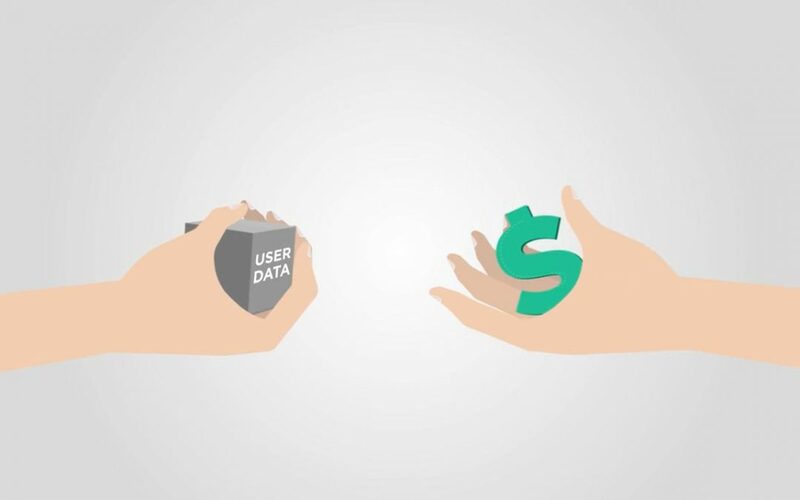 As the companies that used to buy the data for advertisements purposes start to realize that they are not real and can’t define real interests, it is logical to assume that they will not spend so much money on that. This leaves social networks in a paradoxical position, where at the same time that they need competition to boost the network popularity and size the competitiveness spoil the selling of data for data miners or advertisers that do not want to buy corrupted information.